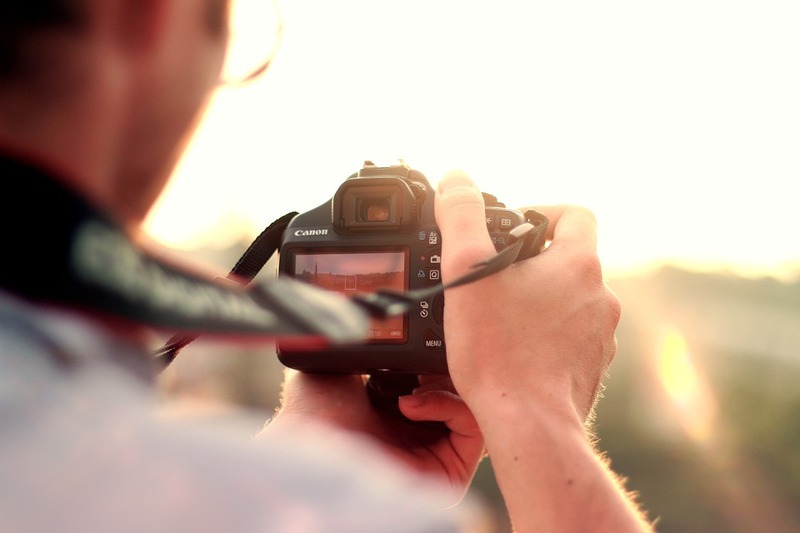 These days the holiday photo albums are more important than the trip! 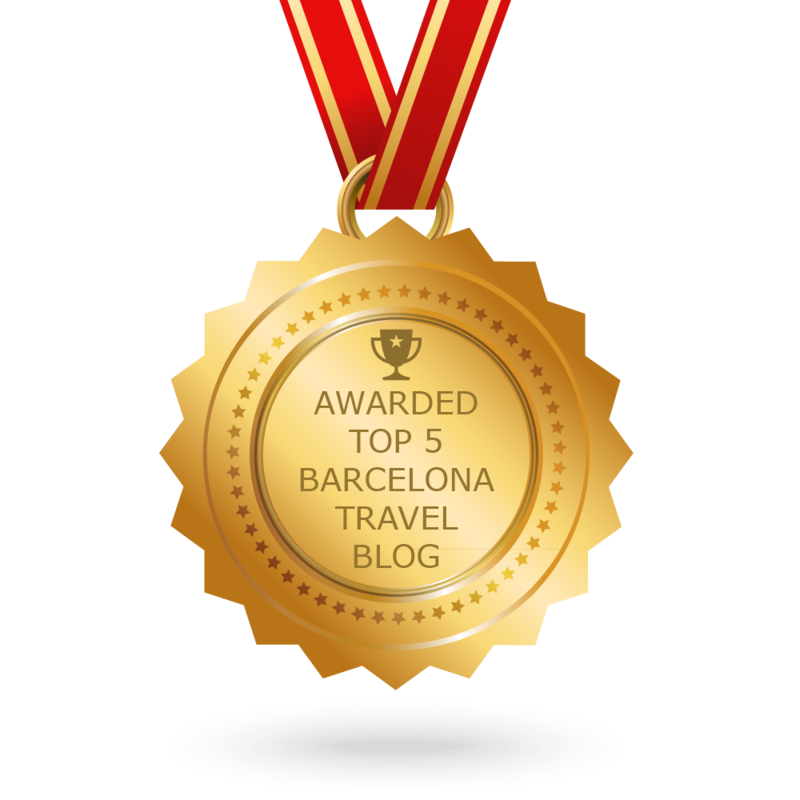 For those amateur photographers and insta-addicts out there Barcelona is bound to send your social media into a frenzy. With great weather, world famous architecture and its unique topography this city is very photogenic indeed. Forget the selfie stick in front of Casa Batlló, here are our favourite places and sneaky tricks to capture breathtaking photos that will have your followers going crazy! 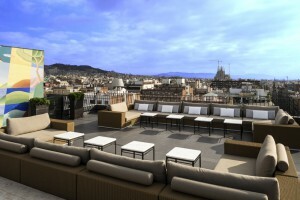 You can’t go wrong with the view from a rooftop bar, especially in Barcelona. For uninterrupted panoramic views of the city, Hotel Majestic holds the crown. 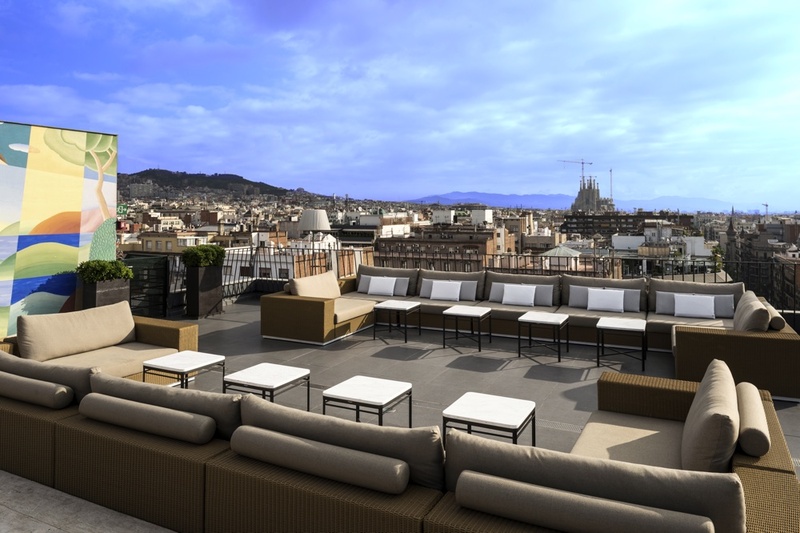 Peer down at one of Barcelona’s most exclusive streets, Passeig de Gràcia, or look out at Sagrada Familia and the Collserola mountains in the other direction. Try their exquisite after brunch menu whilst making good use of your camera. Alternatively take in spectacular vistas of Port Vell from Sky Restaurant which makes for unforgettable evening drinks and a fantastic photoshoot opportunity. On the right hand side of the grand church you will find Plaça de Gaudí, a public park with a pond in the heart of it. Stand behind the pond for one of the best spots for a Barcelona photo. Get an uninterrupted view of this breathtaking landmark and photograph to your heart’s content! 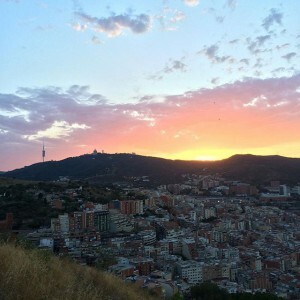 Las Rambas and El Gótico adjacent are two of this city’s greatest marvels. Nevertheless, their beauty can be overshadowed by the sheer volume of visitors they experience. Get up early and it’s guaranteed you won’t be disappointed. Capture some of the city’s most beautiful landmarks without having to wait for families and tour groups to pass. This is also the best time to venture into Mercat de la Boqueria. In the afternoon, especially in summer, the crowds can be overwhelming but early in the morning you have time to really admire and appreciate the beautiful produce that bombards your senses. Plus, with less people there’s more room to photograph! Popular with the locals and less so with tourists, El Turó de la Rovira (aka Bunkers del Carmel) offers a unique vantage point right across the city of Barcelona. To truly enjoy the majesty of this beautiful spot, it’s best to plan to visit at sunset. Watch the sun sink behind the mountains and the lights slowly switch on in city below. 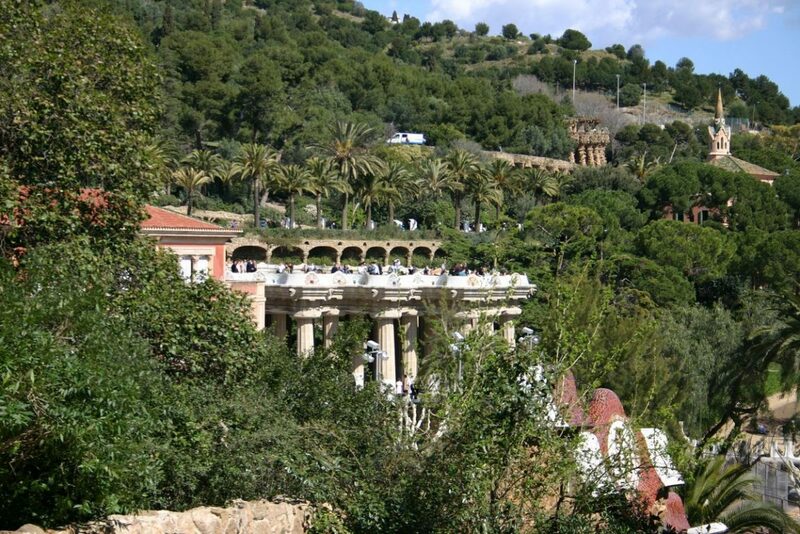 From the hill you can expect to see everything in the city, from Tibidabo to Montjuuïc! 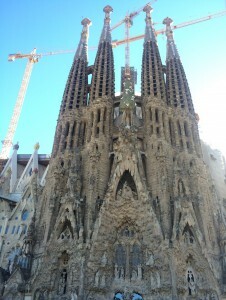 This is easily one of the best places to take photographs in Barcelona. Perspective can really enhance what is already beautiful and this viewpoint is no exception. Monte De La Tres Cruces offers spectacular views across one of Gaudí’s most famous creations, Park Güell. 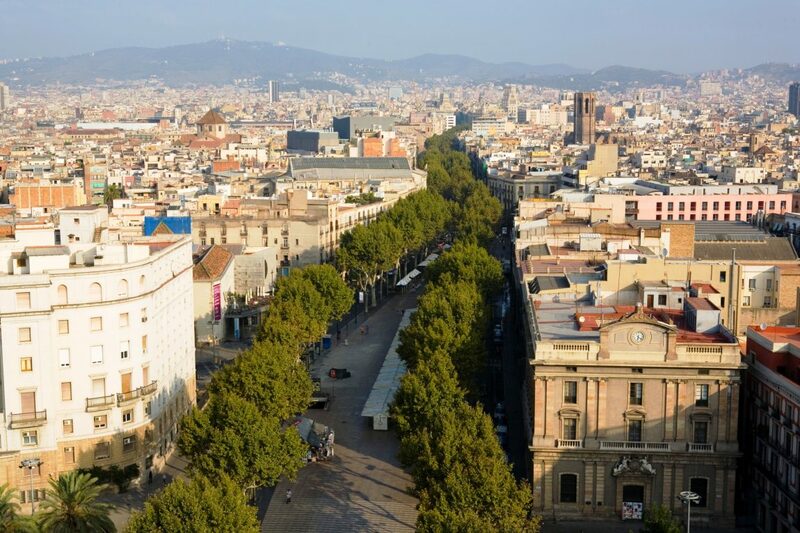 Ideal for those snap-happy city breakers, this hill offers unbroken views of not only the most iconic landmarks in Barcelona, but also directly across to one of the quaintest areas of the city, Gràcia. Looking for something a little more edgy? Well we can help you release your inner hipster at these ideal places to take photos in Barcelona. Pose not against the typical beach backdrop but instead behind one of Barcelona’s many trendy street murals. Don’t miss Keith Haring’s mural at the MACBA museum, the Jardins de les Tres Xemeneies at Av. del Parallel 49, and the mosaic El món neix en cada besada (The World Begins With Every Kiss) at Plaça d’Isidre Nonell, all equally unique but certainly worth seeing and photographing.